This sign is the first in the list of zodiac signs. Also, we can easily recognize when viewing the figure or image of a ram, which it represents. Also, this sign is known for being very impulsive and have a lot of energy. Parallel, is represented by the planet Mars if you want to place it in the cosmos. Furthermore, the Aries is represented by the color red and by metals such as steel and iron. Other features of the Arians are hardness, which is represented by animals such as wolves and sharks. Arians are all people born between the dates of March 21 and April 20. Arians are very determined, adventurous, have ability to command, are passionate about their ideas, do not care what people think of society, are extremists because their feelings can easily vary between love and hate, do not have much patience, they easily lost it as well as prudence. Moreover, we may consider as signs compatible with Aries people of the signs of Leo, Gemini, Sagittarius and Aquarius. Knowing all this information, we are sure it will be much easier to conquest an Aries. We will leave some tips to achieve this purpose. All these can be applied to the Arians in love. – Never argue with an Aries, because they always want to be right, so you will not only lose the argument but you will gain their total antipathy, which would be very difficult to forget. – It is good that you achieve him feel identified with you personally, if you get this, you will be far easier to get his or her love. – Try to find common themes to have conversations with them. Do not give them advice for their problems or failures, rather ask them how they managed the situation and give them courage to tell you about their personal achievements. – Arians fall in love easily, so fidelity is not relevant to them, at least until they can find that special person to whom they would devote all their life. – To gift them something you should consider what kind of personality they have, in this way, for example, they do not like having things that have already been used for someone else. – Shows interest in topics that attract them or that they like. For example, you can talk with an Aries on a good cause or work to lead. – Never try to conquest an Aries if he is in a bad mood, because the most likely is that you would get his or her rejection. On the contrary, it will happen if he is in a positive mood, because it will be easier to conquest him or her and to find common things between you. – If at any stage of the relationship you feel that the Arian wants to take the initiative, let him or her do it, because it will help you in your goals. – Display yourself provocative but not aggressive if you want to win the heart of the native of the sign of Aries. – Do not rush in the physical or sexual aspect, since it could be a double-edged sword, as the Arian could lose all interest in you. – If you can conquer an Arian it is better that you tell him about your past, because if he finds out it by another person, he will feel cheated and will no longer have confidence in you. 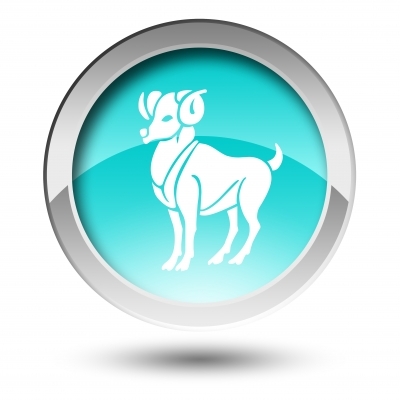 If you want to conquer an Aries, you must be very smart time to act and to establish a plan of conquest, for you as we indicated; Arians are very dominant and always want to impose their ideas by any means. Now that you know how their personality is, success is in your hands.